It is so important to stay warm during the wintertime and cool in the summertime that people often accept the costly price of heating and cooling. However, with the rise of green technologies, people are increasingly able to lower their monthly bills while also shrinking their carbon footprint. Montgomery Heating and Aire of Mountain Home, AR, has emerged as a major provider of new energy sources like geothermal heating and geothermal cooling. After an experience with these pros, you’ll wonder how you ever used your old air conditioner. What It Is: Geothermal heating and cooling is an energy extraction and delivery mechanism. Special heat pumps tap into the natural heat energy of the Earth’s topmost layer. After the heat is extracted, it moves into your house by way of an air delivery system. A device called a heat exchanger makes it possible to harness the energy for cooling purposes as well. Benefits: Praised by the Environmental Protection Agency, geothermal energy has the potential to provide four dollars of heat for every dollar of traditional electric-sourced energy. 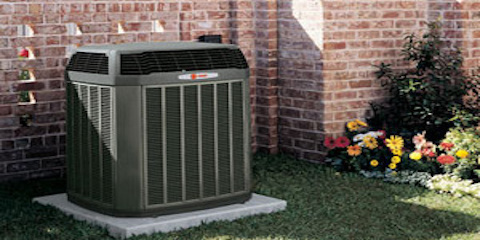 The Trane EarthWise™ system provided by Montgomery Heating and Aire not only saves you money but also produces maximum comfort by evenly distributing temperature throughout your house. As a bonus, the energy has no negative costs to the environment. How You Acquire It: If you’re looking for geothermal heating or cooling, you need a professional installer. Montgomery Heating and Aire will use the size of your home to assess the system that’s right for you. Once they configure this new energy source, the company will insert special thermostats so you have total control of the system. A ductless heating and cooling system like geothermal energy has the power to revolutionize your home. For a free estimate from Montgomery Heating and Aire, call (870) 435-1501, or visit their website for more information.